S&F star screens are used in recycling and in the wood industry. 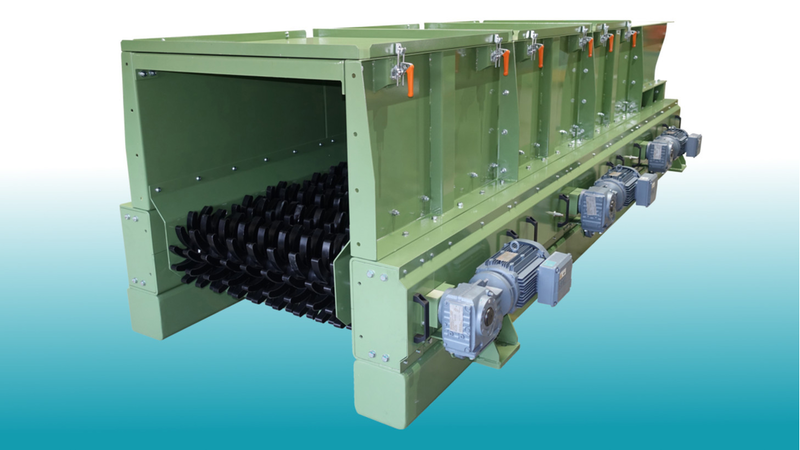 AST-series star screens screen moist, fibrous materials, such as bark or green waste. Disc screens are used for screening hot materials or for rough pre-screening. S&F star and disc screens consist of multiple shafts aligned parallel and at the same distance to each other. They are fitted with side-by-side rotating star or disc-like rollers. Advantages are the high level of separation precision with moist input material, the high capacities in tight spaces and the robust design of the screening machine. AST-series screening machines are available in various widths and lengths and enable material-dependent screening capacities of up to 250 m³/h.